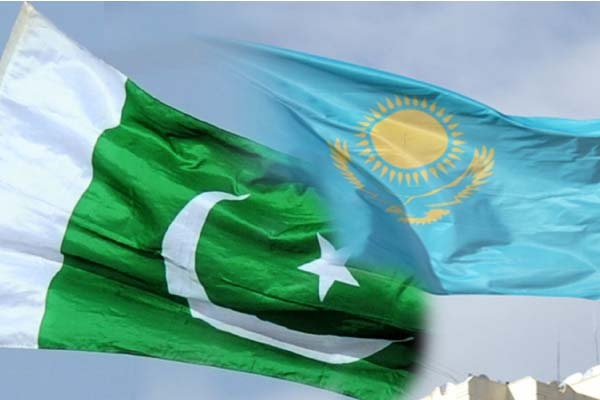 ASTANA, Jun 3 (APP): Pakistan and Kazakhstan on Friday signed Military Technical Cooperation Agreement on the sidelines of on-going Kzakhstan Defence Exhibition (KADEX-16). The agreement signing was undertaken at a meeting between Minister for Defence Production of Pakistan, Rana Tanveer Hussain and Defence Minister of Kazakhstan, Tasmagambetov Imangali Nurgaliyevich. Rana Tanveer Hussain is leading Pakistan delegation to the 4-day Kazakhstan Defence Exhibition (KADEX-2016) being held till June 5. The two Ministers comprehensively covered defence relations between the two brotherly countries. The Ministers expressing satisfaction over their bilateral military relations reiterated mutual desire to pursue joint ventures and to further enhance defence relations in all areas. Rana Tanveer greatly appreciating Kazakhstan’s positive contribution towards regional stability lauded its role in Shanghai Cooperation Organization (SCO), Conference on Interaction and Confidence Building Measures in Asia (CICA) and Organization for Islamic Cooperation (OIC). Defence Minister of Kazakhstan highlighting the importance of Pakistan in South Asia, mentioned that the Agreement on Military Technical Cooperation provided a solid platform to further enhance bilateral military and technical cooperation between the two countries. He mentioned that KADEX is one of the largest arms exhibitions in Central Asian Region held after every two years in Kazakhstan, which is being participated by over 300 companies representing 35 countries/organizations. Rana Tanveer Hussain congratulating his counterpart for holding a successful exhibition, invited him and military leadership of Kazakhstan for attending Pakistan’s defence exhibition, IDEAS-2016 to be held in November this year. Additional Secretary Ministry of Defence Production, Pakistan’s Ambassador to Kazakhstan and Defence Attach’ attended the meeting.